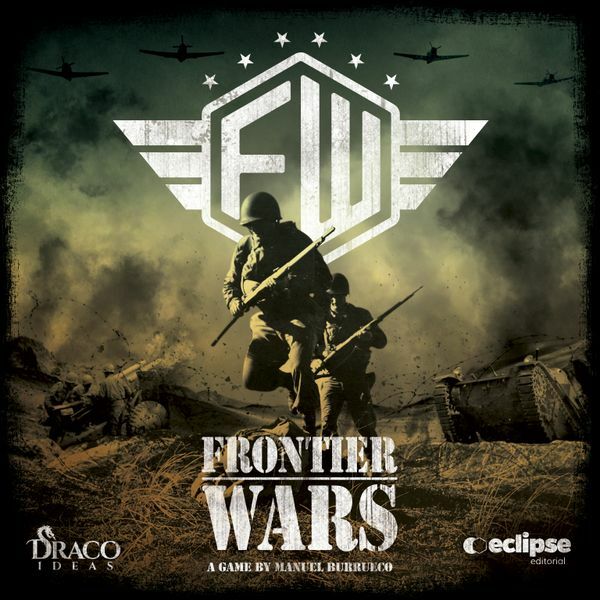 I'm very pleased introducing you the new Draco Ideas game: Frontier Wars. 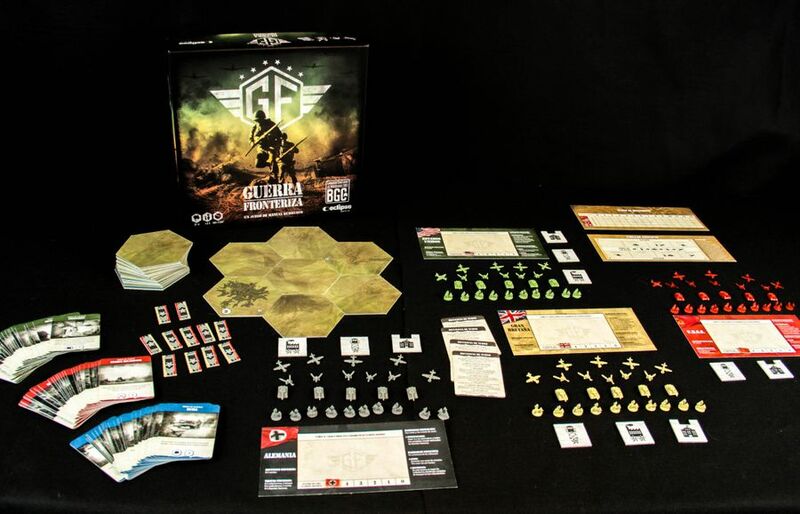 It's a World War II based game for 2 to 4 players with an easy mechanics and a quick learning without losing a high tactical complexity, all of it within the frame of fast, dynamic games. Manuel, the autor of the game has been working in the game design for 4 years, and finally his prototype was awarded as the best one at the Malaga's Board Game Convention in 2017. "Frontier Wars" allows you to take control of one of the four most relevant factions in World War 2. In the game, players chose a nation to manage: United States, United Kingdom, Germany or Russia in games. Learn how to manage your resources, make bold tactical movements with your troops: infantry, tanks, artillery and airstrikes. Make alliances that meet your interests, but remember, your allies can stop being so at any time! The game includes 100 fully detailed miniatures, a modular battle field for new and different games each play, as well as 90 cards that will make each game unique. The game shall be available on Kickstarter on January 15!! Before the Kickstarter campaign starts, we will raffle a full game (with an ALL-IN pledge), between all the participants, in English, and with all the ADD-ONS and SGs unlocked during the campaign. 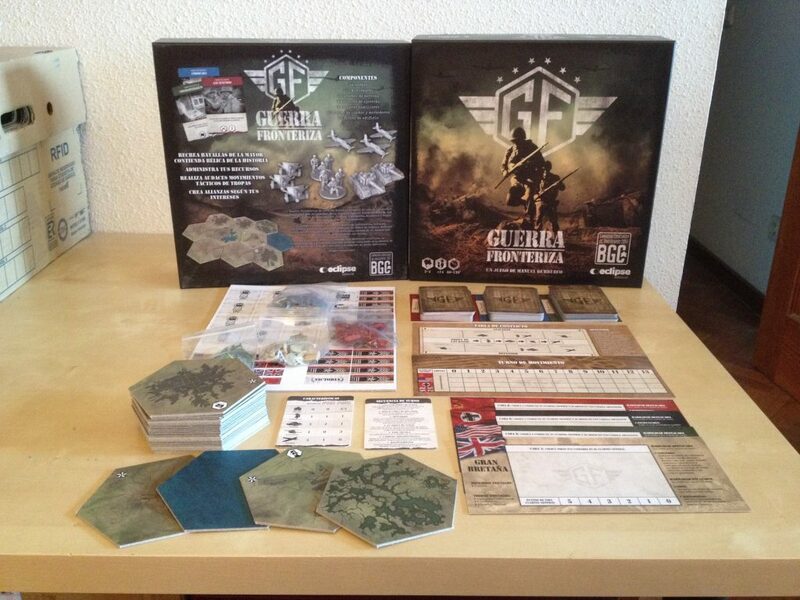 The raffle’s winner, who will receive a full copy of our new game Frontier Wars, is Gildas Billard. Congratulations!! Get in touch with us by email at info@dracoideas.com, to let us know your shipping address. If you didn’t win, you are still in time to join the campaign and get exclusive gift for our Early Bird backers joining us now! 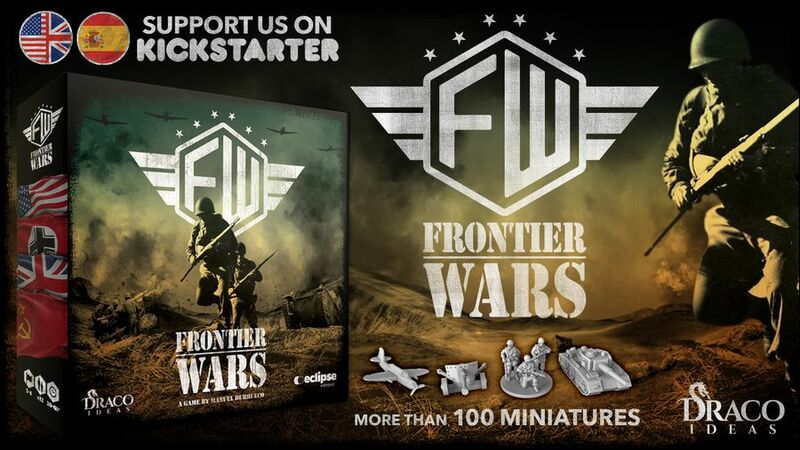 Frontier Wars is now live on Kickstarter, with 100 miniatures: lead your army, battle and conquer lands, build facilities to recruit new troops and manage your cards (resources) to achieve victory through investigation in this classic computer RTS style board game. And if you join us during the first 48 hours, we will give you the Trucks add-on for free, including 2 truck miniatures for each faction (for all 6 factions, including the expansion). The game has been 100% Funded in less than 24 hours! Furthermore the 2 first goals has been unlocked now! Thank you to all of our more than 570 backers who have joined Frontier Wars’ ranks and made this possible! But this is just the beginning, since we’ve reached our funding goal to make Frontier Wars possible, and turn this project into a reality. The campaign has just began, there are many rewards to unlock, which will make the game even greater. - We will increase the size of the army boards, upgrade the card quality and the size and thickness of the tiles. - Cooperative mode: 2vs2 & 3vs3 with the expansion. - 5 New scenarios, inspired in battles from World War II. - 3 New tiles: one special tile for the cooperative mode, and the Port and Fleet tiles. - 6 Weather cards with their own new game mechanic. Kickstarter exclusive! - 5 new resource cards. Additionally, if you didn’t get the pack of 12 trucks, with their own special rules to turn them into mechanized units as early bird, you can get them now for only 9€. We have just started the campaign and we have many surprises as stretch goals, and we are even studying some add-ons to include, listening to your suggestions. We have unlocked 9 stretch goals in only 4 days!! We have a great announcement: you can now play Frontier Wars in Tabletopia for free! Tabletopia is a free platform where you will find an English and a Spanish setup for the game, as well as the rulebook for consulting during the game. The couriers coming from High Command are carrying important news: by request of our backers (we love reading your suggestions, really!) we’ve prepared a new cosmetic add-on, which does not affect playability, but will make Frontier Wars’ map look much prettier. 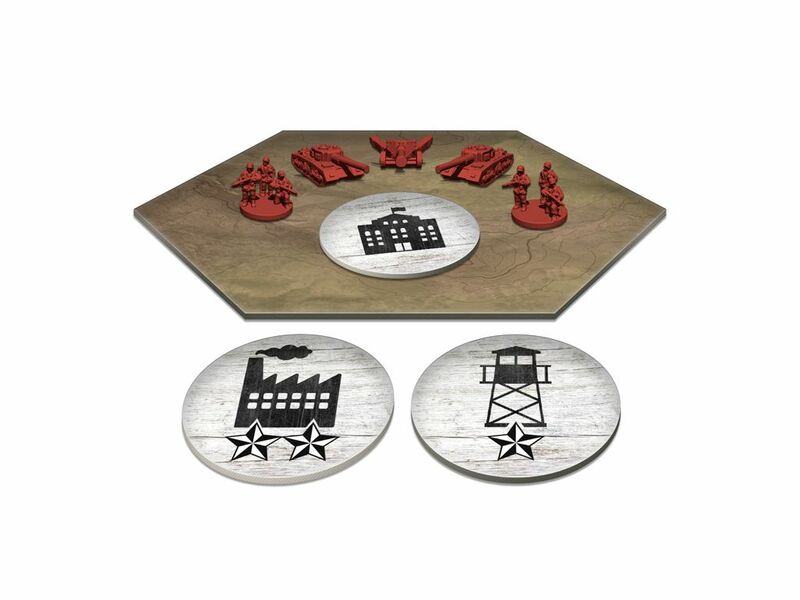 This pack includes 24 buildings, in one color, since the factories and encampments can be operated by any player in control of the tile as long as they have at least one infantry unit there. Regarding the Headquarters, also included with this pack, they will have a tab on the back to place your nation’s flag and identify the owner. What color do you think would be best for these building? As some backer as asking for it, we can finally confirm that Frontier Wars will have an EXCLUSIVE solitaire mode for our backers. At this moment, the rules are in development, and it will include an A5 sized rulebook, and maybe some additional components. Remember this solo mode shall be exclusive for Kickstarter backers. We’ve reached last hours and we've already overcome 20 unlocked milestones, some of them exclusively for our Kickstarter backers, and others that will add new material and variety to your Frontier Wars games. There are no words to express just how grateful we are to all of our backers, for your support, but we think that actions speak louder than words, so we have decided to include a new random scenario generator! Aside from all the preset scenarios that the game already includes, you will have this easy option to create quick battles for any number of players. Additionally, we have also included new goals to unlock during this final stretch of the campaign. We are so close to unlock the 90K$ stretch goal with 12 trenches tokens... the last one! !